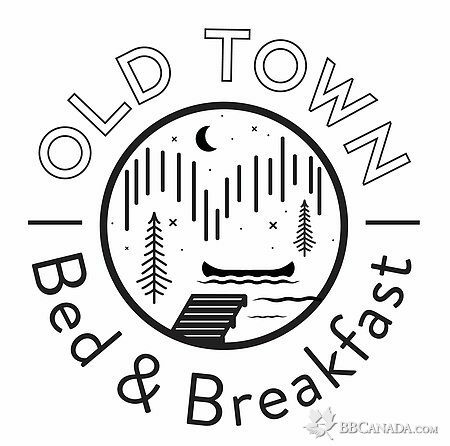 Old Town Bed & Breakfast - where you can live like the locals do! 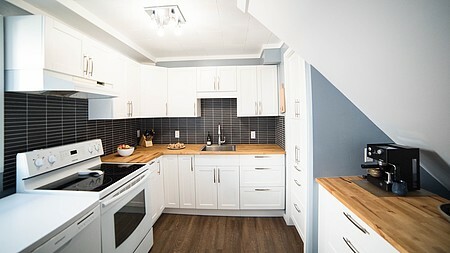 $230/night for 2 people. $15/night per additional person up to a maximum of 4 people. 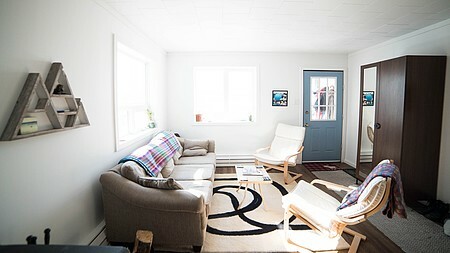 Old Town B&B is located on Back Bay of Great Slave Lake and the property boasts beautiful lake views year round. In the winter time, guests can view the Aurora Borealis (northern lights) from the warmth of the living room, or walk through the yard and get the full aurora experience by taking the show in from the lake. In the summer, rent a canoe and explore the local house boat community or enjoy a drink on the deck watching the float planes take off. 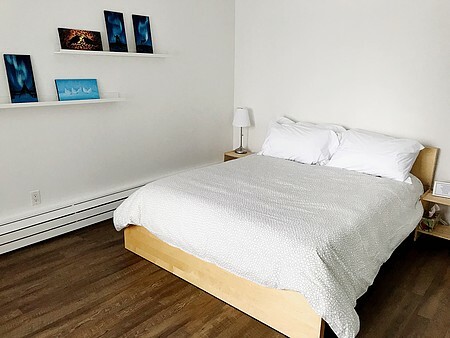 Old Town B&B is within walking distance to local restaurants The Wildcat Cafe, Bullocks Bistro, NWT Brewing Company, Barren Ground Coffee and more! 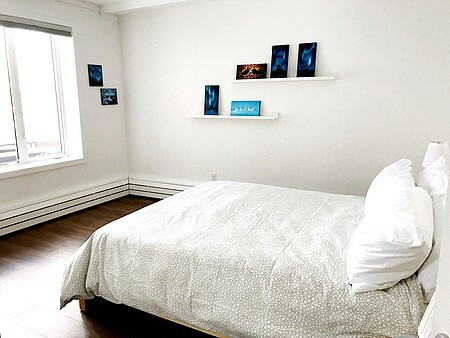 Old Town B&B is within walking distance of local art galleries Down to Earth Gallery, and Gallery of the Midnight Sun. It is about a 25 minute walk to downtown, or take the bus - there is a bus stop located right at the end of the driveway. Check In/Check Out : Check in after 3:00pm - please let us know what time you will be arriving. Check out by 11:00am. Cancellation : Cancel free of charge until 7 days in advance of your booking. You will be charged the first night if cancelling within 7 days. You will be charged the full amount if you fail to show up for reservation. Seasonal Information : Open year round, there is always an adventure to be found in Yellowknife.